Acne is pimples and spots that occur due to inflammation in the skin. These inflammations are caused by bacteria and an increased production of sebum. Acne usually occurs in the face, neck, upper arms and shoulders and is usually present in teenage years, but can also occur later on in life. Scars that appear due to acne can feel uncomfortable and cause discoloration and unevenness. 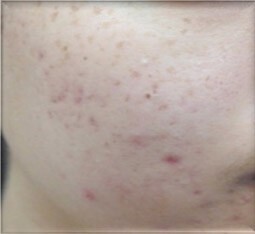 Acne is a very common skin condition and fortunately can be improved with treatments we offer. We can improve acne through our skin treatments which are aimed at inhibiting sebum production and addressing the bacteria in the skin. 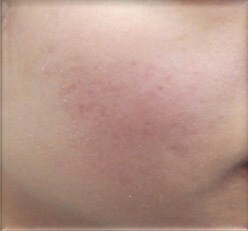 The acne scars also fade due to the production of collagen and the refining of the skin pores. The treatments ensure that your skin softens and the inflammation subsides. Your skin will be less red and the pimples will dry out resulting in the scars caused by the acne fading and the skin structure improving. An additional benefit to these treatments is that your overall skin quality improves; your skin makes more collagen, is more elastic, pores are refined, your skin feels firmer and shinier because blood circulation is improved. During a first consultation, your skin is analyzed by a medical specialist. We look at the severity of the acne and discuss which treatment your skin will respond to best. Based upon your wishes and realistic expectations, we draw up an effective treatment plan. With our treatments, we soften and improve your skin, but the cause of acne cannot be treated. This means that active acne needs maintenance and the treatments need to be repeated.